I love this shade of Amazonite, it makes such a change from the lighter one that we usually see!! 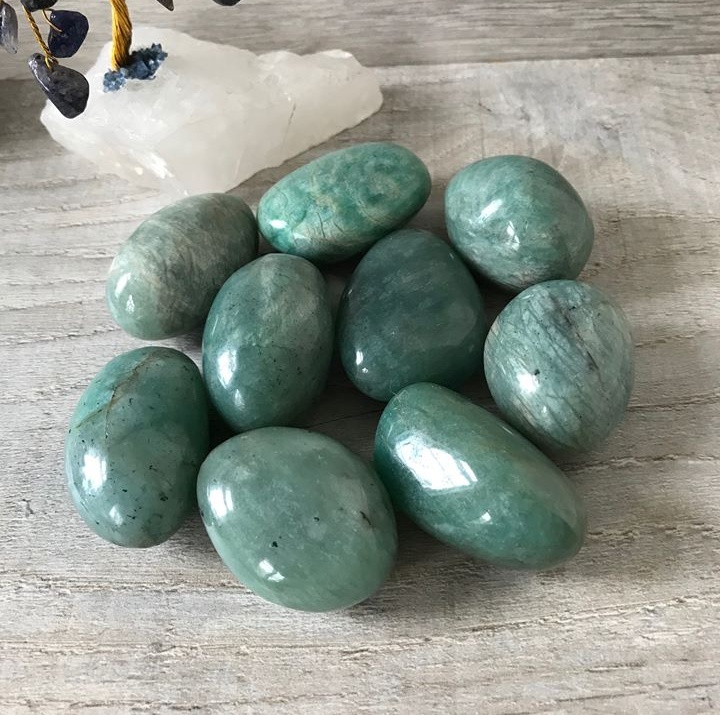 Amazonite Helps with emotional turmoil, get rid of negative thoughts and emotions. Amazonite is known to help in muscle spasm, osteoporosis, calcium deficiency tooth decay. Inspire truth, self love and truth. Measures 40cm -55cm approx lots of shapes and sizes.